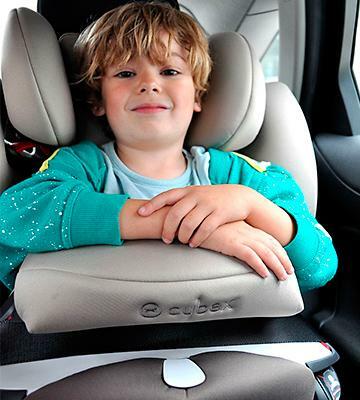 CYBEX booster car seat provides the highest level of safety. You can easily attach the seat with the help of ISOFIX connect system. One of the most convenient seats for little kids. The seat may seem quite bulky. If you wish to maximise your child's safety when travelling by car and make a comfortable seating place for him or her, this booster car seat is the best choice. 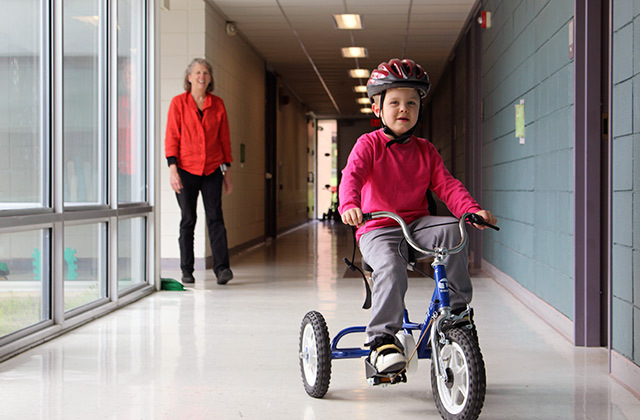 Wide adjustment capabilities allow you to create maximum comfort to your child. 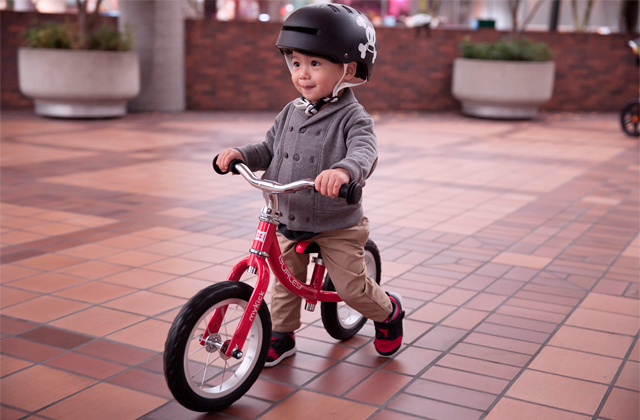 Extra side impact protection ensures the highest level of safety. The booster seat might slightly move after being attached. 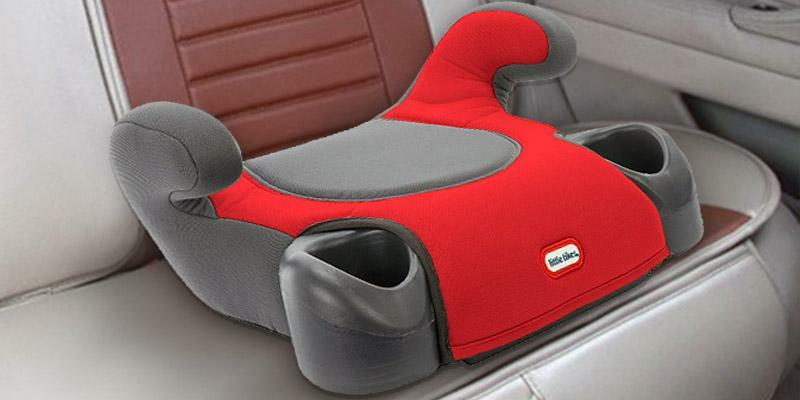 Apart from high-level protection, this booster car seat boasts extreme convenience of use and can fit easily in any car. Graco booster car seat has a simple but well-thought-out design for easy transportation. A backrest can be attached to this seat if you wish. Cupholders can easily be removed. 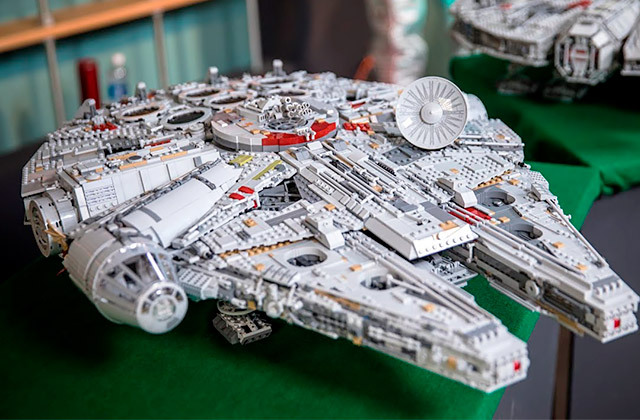 This seat might be inconvenient for long and distant trips. 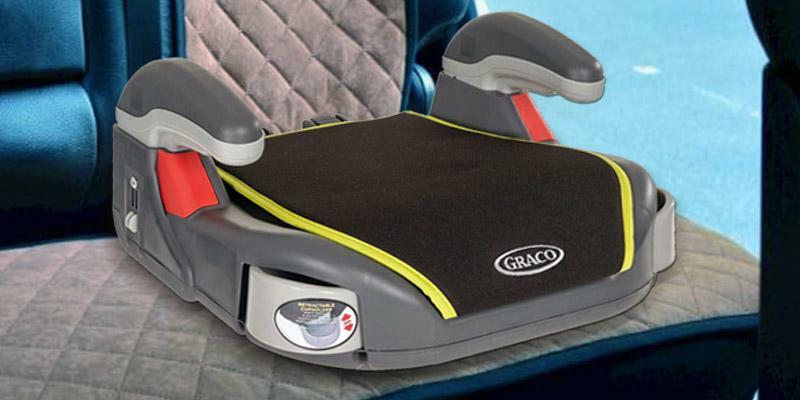 If you are looking for a compact yet safe booster car seat, this Graco model is the right choice. And it's fairly wallet-friendly! ISOCATCH connectors allow installing the booster car seat with one hand. The seat complies with the strictest safety standards. The belt might slip off the guides. Graco Affix combines all of the advantages parents expect from a booster car seat: child's safety, reliability, and the utmost convenience. 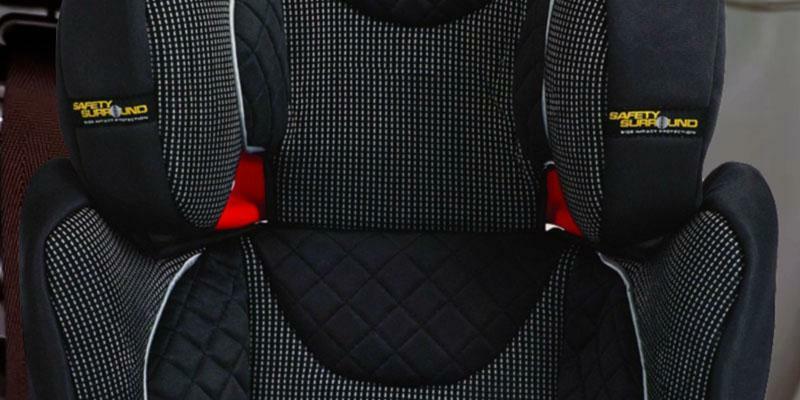 At 1.1 kg only, this booster car seat is the most compact and lightweight. 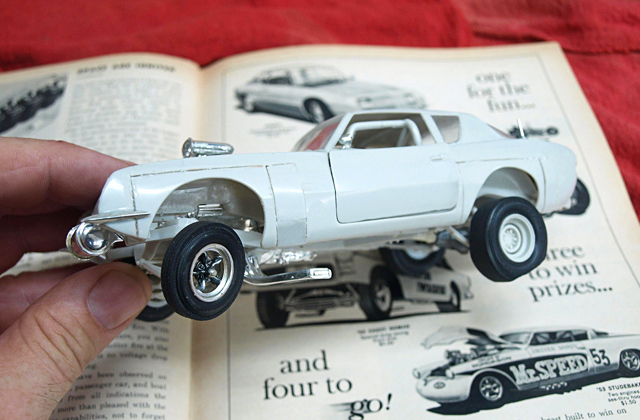 You will be able to move it easily from one car to another when needed. Being light in weight, it's still rather wide and might not fit the front seat. 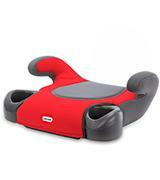 It's a simple, compact and safe backless booster car seat for child's use. Surely the best seat for those, having more than one car. The CYBEX Solution M-Fix is one of the best booster car seats you can buy for your child. The company's safety experts have done their best to make this car seat not just utterly safe in case of collision but also really comfortable. M-Fix has an ISOFIX connect system that makes mounting the seat totally effortless and very quick. The booster car seat can be installed either on the back seat (in the direction of travel) or on the front passenger seat (against the direction of travel and with airbag deactivated). What makes this car seat so safe? First of all, the CYBEX Solution M-Fix has an adjustable Linear Side-impact Protection and System PLUS shock absorption system (that minimises the impact at the first stages of traffic collision). The car seat has a patented 3-position reclining headrest that protects your child's head from tilting forward if he or she falls asleep (thus, preventing breathing problems and making the sleep more comfortable). Also, this booster car seat is soft and boasts an optimised ventilation system so that so your little one never feels too hot. You can adjust the position of the car seat with one hand even while driving! Entrust your child to the CYBEX Solution M-Fix and concentrate on the road, which is the most important safety requirement. If your child is under 3 years of age, this booster car seat will be too big. Therefore, consider using a convertible car seat instead. If you think a booster seat is useless, you are terribly wrong! The usage of such seats reduces the risk of injury by 70%, so this bulky unit might save your little one's life in case of a collision. Thus, the Britax Romer Adventure is certainly a safe and comfortable booster seat for parents who do care about their child's security. The car seat has a high adjustable backrest with so-called 'bucket' shape that keeps your little one firmly in place and provides additional security during side collisions. Children grow fast and the same seat might become uncomfortable in a couple of years; that's why this Britax Romer Adventure booster has adjustable belt guides, allowing you to pick the most convenient position of the belt clips and straps. Keep in mind that both lower and upper belts must be positioned with compliance to the safety regulations, so make sure to read the manual, otherwise they might not provide 100% safety. 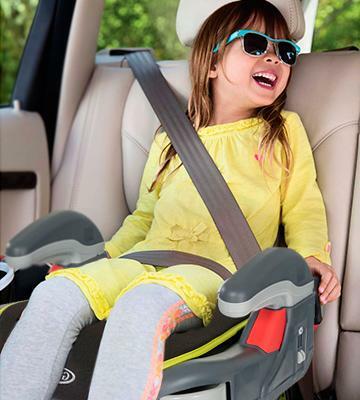 We also highly appreciate a well-thought-out adjustable headrest with 11 available positions; with one like that, your little one will be able to travel comfortably for years! Britax booster car seat has another useful design feature - two cupholders that can keep cans and bottles for your child to have some juice or iced tea right on the go. If you often go on distant car trips, make sure to buy a comfortable seat belt shoulder pad pillow. If you are looking for a reliable and compact booster car seat for a child aged from 4 to 12, consider the Graco Junior Basic. 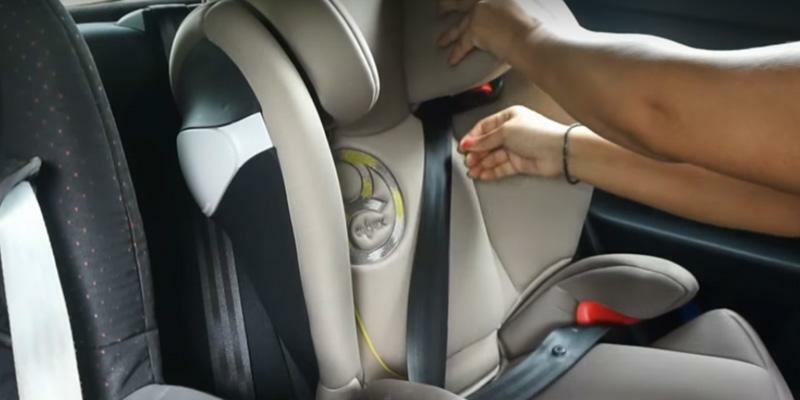 This car seat ensures the right position of your child during car trips. The structure of the Graco Junior Basic is made of polystyrene that absorbs shock in case of a car accident. The booster car seat has an ergonomic shape providing your child with the unmatched feeling of comfort. Your little one will like the soft cover of the booster seat and its convenient armrests. The Graco booster car seat is easily mounted in a car and has special guides for positioning the belts. This is a backless seat, so it must be used on the rear seat in the direction of traffic. We would also like to highlight usability of this car seat; its cover is removable, and you can easily machine wash it if it gets stained or your kid spills a drink on it. If for some reason using a cover isn't most convenient or appropriate option for you, you can get a car seat mat as an alternative. Not only do they protect the seat, but they also provide a firmer grip with the surface, minimising slipping around. The Graco Junior Basic booster car seat is available in several colours, so it's easy to select one which would fit your car interior better. The Graco Affix booster car seat is a recent innovative release designed to provide little travellers not only with comfort but also top-notch protection on the road. Let's dive deeper to see what sort of safety system it offers. The seat's fitted with Safety Surround Side Impact system to ensure that no matter what your child isn't going to be hurt even in case of an accident. 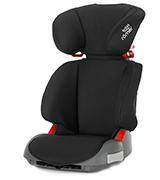 The padded sides, headrest and armrests cradle your child, protecting it fully from external impacts. Knowing how important it is to keep the right posture while being on distant trips, the manufacturer created the seat that would anatomically align to the body of a little traveller. 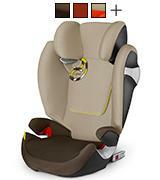 The seat has multiple adjustment positions for the child to choose the most convenient one. Both headrest and backrest can be tilted, which is handy, if your kid's tired and wants to have a nap. Like the majority of booster car seats, this one is also equipped with cup holders. 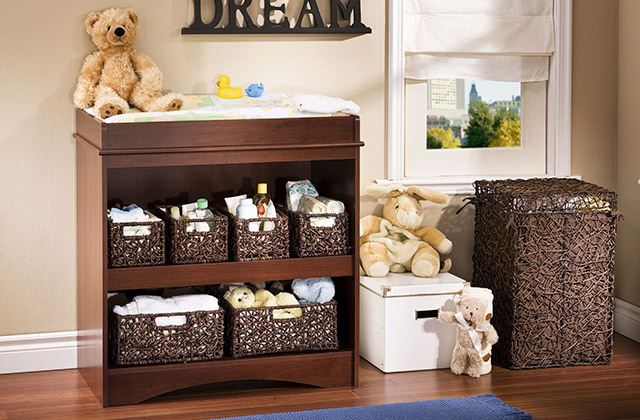 Yet, there's something else you'll rarely find in other models - a special drawer for your child's things like toys, etc. You know what kids are, they always need some time for fun and play, don't keep it away from them and let them have what they need in this handy drawer on all your family trips. The Little Tikes booster car seat fully corresponds to the company's manufacturing principles, such as reliability, extra safety, and flawless quality. 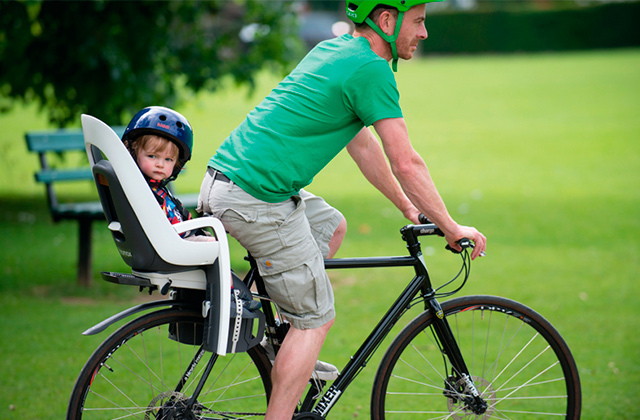 This booster seat is very lightweight - just 1.1 kg, which means it's easy to transport it from one car to another. If you drive different cars, this is your choice! The booster has special guides for keeping seat belts in place. As for your child's convenience, the Little Tikes booster car seat has two integrated cup holders, so your little one can place drinks or sweets there. As for the cover, it's made of a durable premium-quality material and it is easy to remove. 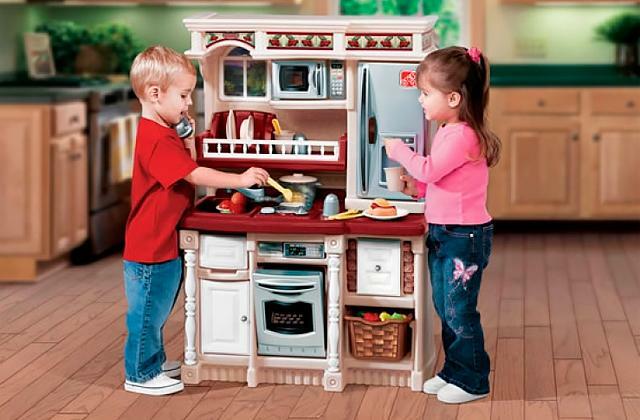 Therefore, if your child ever spills juice on the seat, you will be able to take the cover off and machine wash it. We would also like to draw your attention to one more positive thing about this booster seat - its wallet-friendly price. 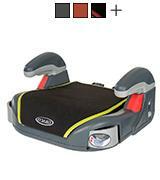 The Little Tikes seat is one of the best booster car seats in terms of price to quality ratio. If your little one often sleeps in the car, think of buying a seat belt shoulder pad which can serve your child as a soft pillow. Same like the cover of the seat, most shoulder pads are machine washable and so, they are very simple to clean. They can become a highly useful accessory to use on the go. What is a Booster Car Seat? The car seat or booster is an exclusive requirement for the transportation of the child. 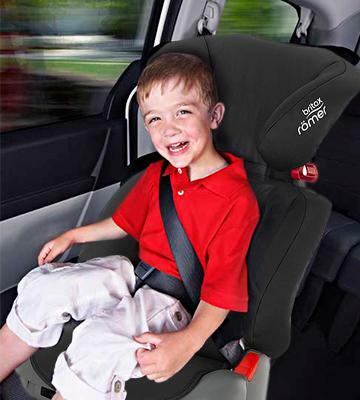 A high-quality children booster car seat will protect the kid from injuries in case of an accident. Or will minimise the chance of injury during aggressive manoeuvre or slowdown. 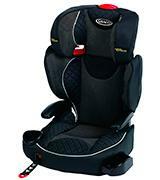 In addition, suitable car booster seats will make a car trip more comfortable for a child. 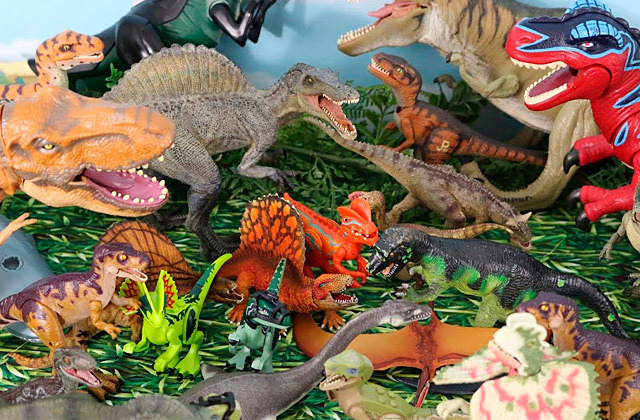 Your kid will certainly be satisfied! We also suggest considering one of the best diaper bags that will surely come in handy during strolls. 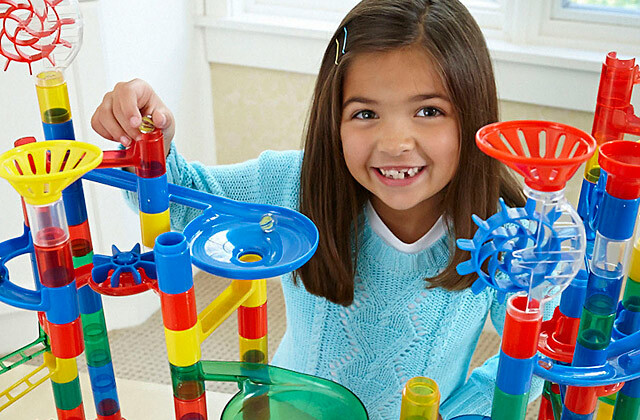 To help your toddler make his or her first steps, choose a baby walker. The first issue to take into account is the Weight. 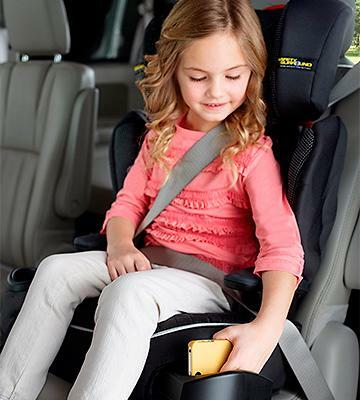 If your child already weighs over 40 pounds, he or she definitely needs a booster seat. 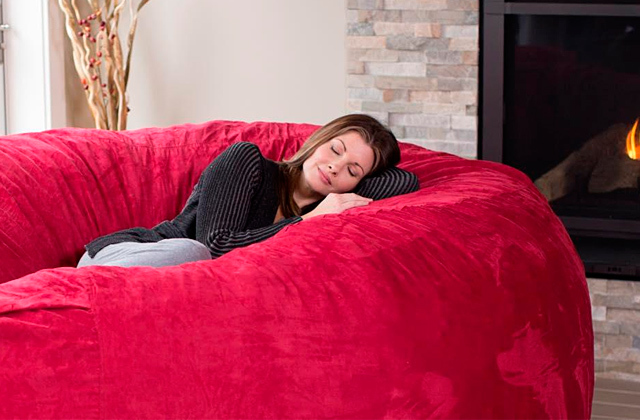 However, if you’ve never had one, you might experience a problem of making your kid sit in it. It may be a good idea to look at different types of car booster seats and decide on the one that will totally fit your needs. Basically, there are 2 types of boosters available on the market - a high-back seat and a backless booster. All are aimed at different needs. 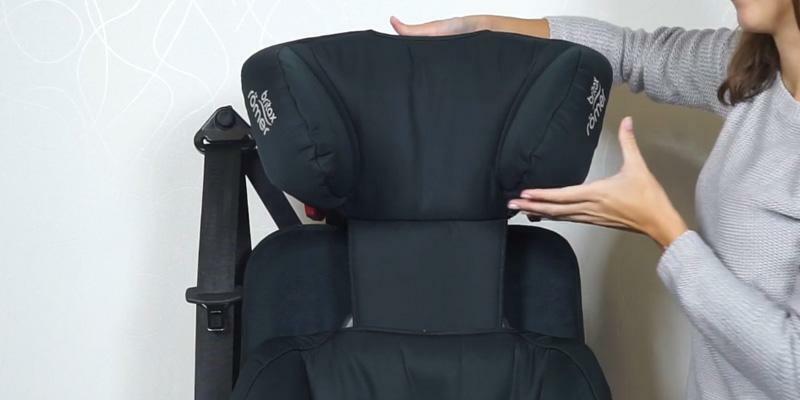 Backless booster seats are usually easier to move and install in a car, but they are surely not the best fit for small kids who still need headrest and neck support. On the contrary, high-back seats are going to perfectly work for the youngest and those children who like to have a nap during the trip. Therefore, it’s obvious that the Type of a car booster seat really matters and what’s good for one is not necessarily good for another child. The other thing you should definitely be concerned about is Safety of a seat that you’re going to buy. Otherwise, what’s the point of getting a car booster seat at all? Most seats are equipped with a belt, however, having the belt only might be insufficient, especially if your child is younger than 5 years old. So, you may also be interested in considering seats with full-body side impact system. Such boosters offer not only head and neck support but also 5-point harness system to ensure firm fixation and full-body support on the road. If your child is already 9 or 10 years old, you can easily select a simpler seat, yet comfortable for a long trip. You may not have thought about this one, but Convenience is also highly important. Not only does the booster seat have to be comfortable, it must be easily moved in and out of your car. If a seat is too heavy or wide, you’ll find it a chore to mount it and dismount on a permanent base. A good seat is supposed to require easy and quick mounting. So, make sure to check what installation is going to be like in the first place. The other “frills” you may want to look for is a variety of extras like cup holders, temperature-controlled material, and so on. 1. Booster seat safety, BabyCenter. 2. Choosing A Booster Seat, Washington State. 3. Car Seat Buying Guide, Consumer Reports. August 2016. 4. 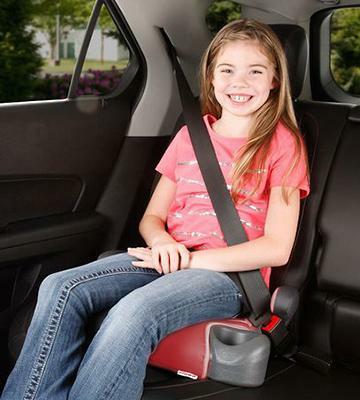 Donna Fennessey 5 Tips for Buying a Booster-Seat, Parenting. 5. Car Seat Recommendations for Children, Parents Central.